This list has been honed over years of experience and rigorous study of cop movies. Find out, once and for all, which are the definitive best ever police action movies. Perhaps the definitive police film of all time, Michael Mann's classic Heat is a three-hour tour de force that tracks a criminal crew (led by Robert DeNiro) and a team of detectives (led by Al Pacino) as they track and elude one another. Containing exciting robberies and thrilling shootouts, it's filled with over the top characters and a very sophisticated script (you need to watch it a couple of times or else really pay attention to catch everything). The joy of the film is realizing that the men are almost the same: DeNiro and Pacino essentially play the same sort of character, each leading their own crew. The only difference being that one chose to get his high as a police officer, the other as a bank robber. Contribution to Genre: Not the first slick, well-produced police drama ever made, but certainly the best. Contribution to Genre: The meme of the rogue cop that does things his own way? That started here. Die Hard is simply one of the best, most influential action films ever made. The simple premises of cop trapped alone in a skyscraper with a bunch of terrorists created an entire sub-genre within action pictures. 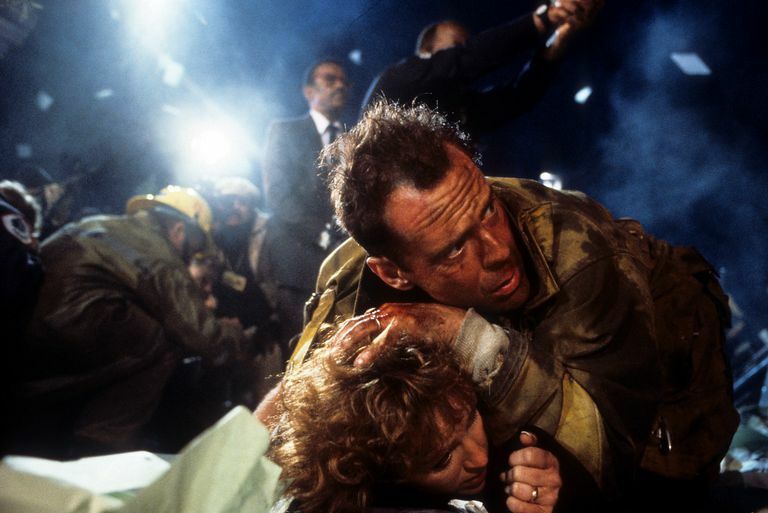 At least two decades later, audiences, critics, and at pitch meetings all over Hollywood, films were being described as, "It's Die Hard in a..." (We list what a lot of these were here.) Unfortunately, it was a beloved franchise that Hollywood drove into the ground and destroyed. Contribution to Genre: A franchise so popular, it started another genre. 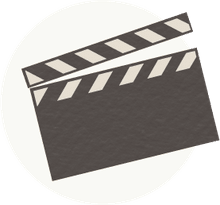 It was one of the all-time great concepts for a character, particular a lead character in a police action film: The main character, devastated after the loss of his loving wife, is suicidal, but he can't quite bring himself to kill himself, but he wouldn't mind if it happens in the line of duty. Enter, a half dozen action scenes where the protagonist chases bad guys without regard for his own life, and engages in death defying action scenes, not really caring if he lives. And brought to life with Mel Gibson's intensity, Martin Riggs was one of the great Hollywood characters. Until, like Die Hard, it became a watered down weak shadow of its former self in multiple sequels. History in the making again. The French Connection was a different type of cops and robbers movie. It's main character Popeye Doyle (Gene Hackman) swore and was rough, and the city he inhabited was dirty and grimy and felt used-in and lived-in. The chase scenes were intense and riveting. It was violent. I don't know, because I wasn't alive back then, but I've been told that prior to this, the police presence in Hollywood was more like Dragnet, this real stoic professionalism and uber naivety about the real struggles of the criminal justice system. That and it's a great film that holds up even by today's standards. Contribution to Genre: A cop movie where the streets were dirty, the characters were rough, and the fights were violent. If you haven't seen this comedy/action classic, it still holds up pretty good today. It's also a great window into the 1980s and you can immediately tell why this was a huge hit in the year it was released. Eddie Murphy is Axel Foley, another famous police role, a street-wise Detroit detective, by a strange twist of circumstances, that takes up an assignment in the rich, culturally affluent, sunny Beverly Hills in California. It's the basic fish out of water story played a half-dozen different ways: Inner city vs. rich suburbs, rich vs. poor, black vs. white, Detroit vs. California. Contribution to Genre: The ultimate fish-out-of-water cop movie. Eddie Murphy plays his Murphy schtick, which is funny enough on its own. But played against Nick Nolte's incredulous, frustrated partner, it's hilarious. Consider Nolte in this film a giant magnifying glass that grows and intensifies Murphy's once considerable power. This is the first great cop buddy movie. And you can't have a police cop genre without the buddy movie. Contribution to Genre: The first great police buddy movie. Contribution to Genre: Most realistic cop movie ever made. Denzel Washington's best role ever... best ever... is in Training Day, as a corrupt cop that's breaking in a new rookie partner. Detective Alonzo Harris is as scary as it gets, not just because he's a psychopath masquerading as a good cop (the good cop who is, interestingly, masquerading as a psychopath... it's not like a triple level scam), but because he's also always three moves ahead of anyone else. Contribution to Genre: Best "bad" cop ever introduced to cinema.